Globally, nearly 40 percent of critically endangered species live on islands, where non-native invasive species are a common problem. A new study shows that eradicating invasive mammals provides substantial benefits for island biodiversity. The study, published March 21 in Proceedings of the National Academy of Sciences, examined efforts around the globe to eradicate invasive mammals, primarily on uninhabited or sparsely populated islands, as a way of protecting native species. The researchers found 596 populations of 236 native species on 181 islands benefitted from these eradications. "Compared to the mainland, islands are home to a disproportionately higher amount of biodiversity, much of which is highly threatened with extinction," said coauthor Donald Croll, professor of ecology and evolutionary biology at UC Santa Cruz. "Humans have introduced non-native, invasive mammals (accidentally or intentionally) to ninety percent of the world's island archipelagos," he said. "These mammals have devastating consequences for ecosystems because island species evolved in isolation without these mammalian predators. They have little to no defense against invasive mammals." First author Holly Jones worked with Croll as a UC Santa Cruz undergraduate in 2003 and 2004, studying the impacts of invasive rats on seabirds. Now an assistant professor of biology at Northern Illinois University, she led a 30-member team of scientists to conduct the study. "We've known that invasive mammal eradications are a powerful conservation tool, but this is the first time the benefits have been quantified at the global scale," Jones said. "21 billion [U.S.] dollars are spent globally each year on nature conservation. A small fraction of this goes to eradication of invasive species, yet this relatively simple, cost-effective conservation intervention is benefitting hundreds of native animals and endangered species. This is fantastic news in the race to prevent extinctions." 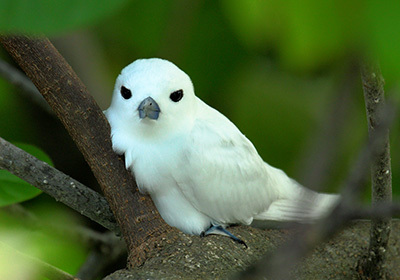 "These island restoration projects are a proverbial silver bullet for biodiversity conservation," added co-author Nick Holmes, director of science for Island Conservation, a non-profit organization with a mission to prevent extinctions by removing invasive species from islands. Croll and coauthor Bernie Tershy, adjunct professor of ecology and evolutionary biology at UCSC, cofounded Island Conservation in the 1990s. "For any conservation intervention, it is rare to find a body of global evidence measuring the outcomes for native species. These results are a testament to the value of these types of projects and the practitioners advancing them around our world," Holmes said. The research team conducted a large-scale literature and database review along with expert interviews to estimate the benefits to native species of removing invasive mammals found on islands. The researchers documented positive responses, including population increases, recolonization, and successful reintroductions. 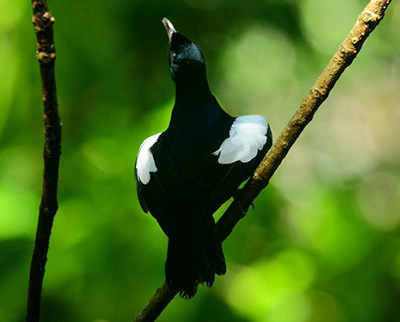 Four species that qualified for down-listing to a lower category of extinction risk on the IUCN Red List, in part due to invasive mammal eradication, were the island fox (California), Seychelles magpie robin (Seychelles), Cook's petrel (New Zealand), and black-vented shearwater (Mexico). Once introduced to islands, invasive mammals represent key threats to native species through predation, competition, and habitat loss. Rodents, wild goats, and feral cats are the primary invasive mammals on islands, but foxes, weasels, rabbits, and other introduced animals also cause problems. Islands with invasive species pose a unique biodiversity conservation challenge and opportunity. Islands occupy less than 6 percent of the Earth's land area, yet are home to 15 percent of terrestrial species. Islands represent 61 percent of recorded extinctions, with invasive species implicated in the majority of those, and 37 percent of all critically endangered species on the IUCN Red List are found on islands. "Invasive alien species are causing an extinction crisis on the world's islands, but our research shows that this is one problem we have the tools to tackle, and the results can be spectacularly successful," said co-author Stuart Butchart, head of science at BirdLife International, the world's largest partnership of nature conservation organizations. 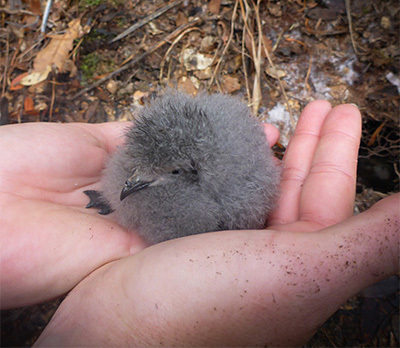 Examples of success include the New Zealand storm petrel, thought extinct for over 150 years, was recently found breeding on Little Barrier Island after eradication of cats and rats. The Scripps' murrelet is no longer a candidate for listing under the U.S. Endangered Species Act (ESA) following rat eradication on Anacapa Island. The California Channel Islands' endemic island fox has been proposed to be removed from endangered species list following intensive conservation efforts, including a feral pig eradication on Santa Cruz Island. Documented beneficiaries of invasive mammal eradications are likely underreported because of a lack of monitoring, the researchers added. Biologists have long been aware of the damage that can be done by invasive species. In February 1894, in New Zealand, one of the Stephens Island lighthouse keepers' pregnant female house cats escaped, went feral, and the cat population rocketed. By March 1895, they were largely responsible for driving the Stephens Island wren to extinction. On Kiritimati Island in the Pacific Ocean, cats and rats wiped out the Christmas sandpiper in the late 1800s. Cats on Guadalupe Island, Mexico, drove the Guadalupe storm-petrel to extinction in the early 1900s. There are hundreds more stories like this. 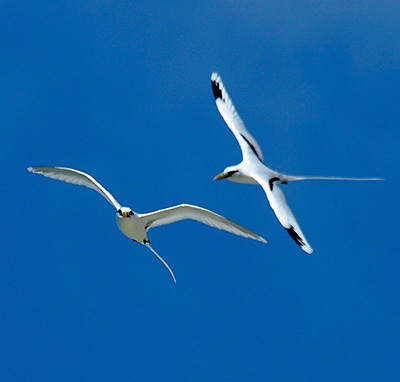 In recent decades, eradication programs have gained traction even on more populated islands. More than 1,100 attempts at eradication of invasive mammal populations have occurred. "Many eradication techniques were first developed in New Zealand, so much so that it's been commonplace to 'call the Kiwis' if you want to eradicate mammals," Jones said. "Now, more and more conservation organizations worldwide are embracing this conservation intervention." Jones hopes the study's results will help conservation practitioners see where they can make further strides to curb extinctions and protect native species. "While we can't bring back the species that have gone extinct, our analysis shows that removing invasive mammals can help us undo some of the damage we've caused," she said.